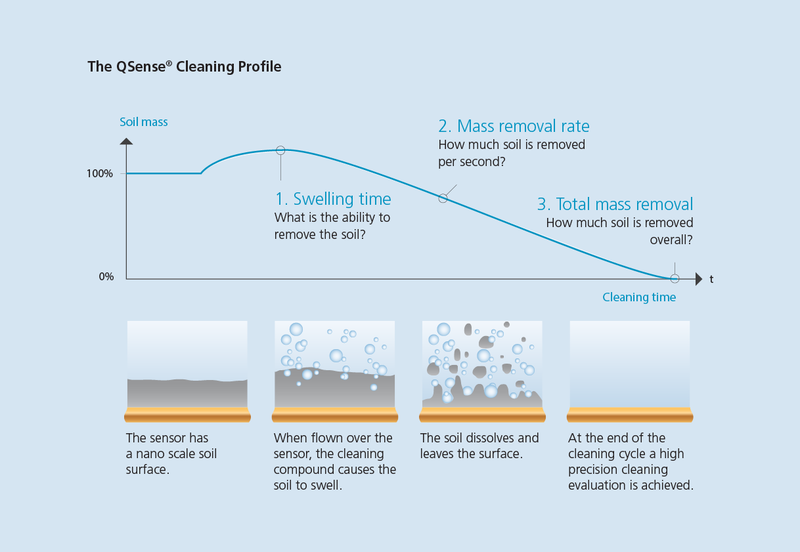 Visual inspection of a surface for cleanliness lacks quantitative data, understanding how cleaning agents are performing is vital to the development of products from CMP Slurries to surfactant in dish detergent. Quartz crystal microbalance delivers quantitative data on how surface and solutions interact at molecular levels, bringing quantitative data to some outdated qualitative testing procedures. QCMs, QCM-D monitors the frequency and energy dissipation response of the freely oscillating sensor, generating results more accurately and faster than visual inspection and colorimetry methods. 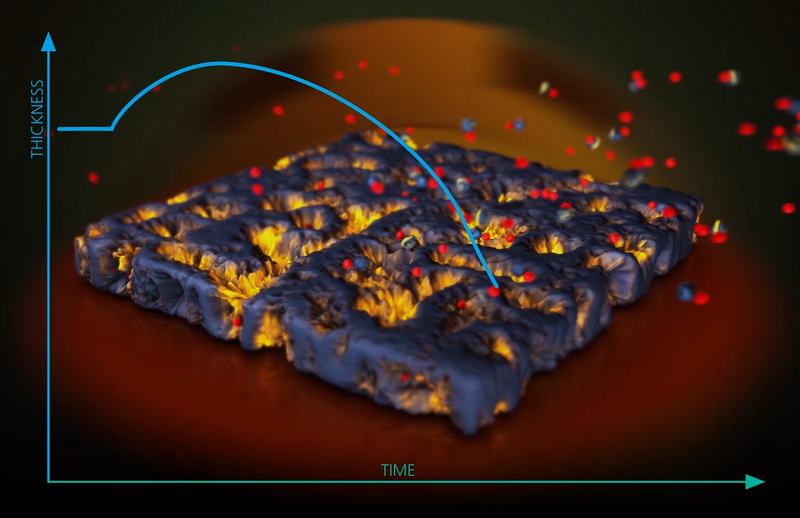 Our technique monitors adsorption and desorption processes at interfaces in different chemical and biological areas. In addition to mass changes, QCM-D detects changes in film stiffness due to different adsorbed molecules, structural changes such as cross-linking and trapped solvent. Depending on the molecule and surface you wish to study, the amount of water in an adsorbed film can be as high as 95%. Molecules that are elongated adsorb flat on a surface, or standing up will have greatly different water adsorption. Our QCM-D technique measures the kinetics of structural changes and mass changes involved simultaneously. Adsorbed films are typically not rigid, and the “soft” (viscoelastic) nature of the film proves challenging to quantify and characterize. The QCM-D technique makes corrections in modeling adsorbed mass by accounting for energy lost to the softer film (dissipation). Real-time measurements of thin film deposition of both added mass as well as changes in elasticity and viscosity make QCM-D a powerful tool for many application areas. Questions about our QCM-D services? Contact our scientist who will answer all your questions.